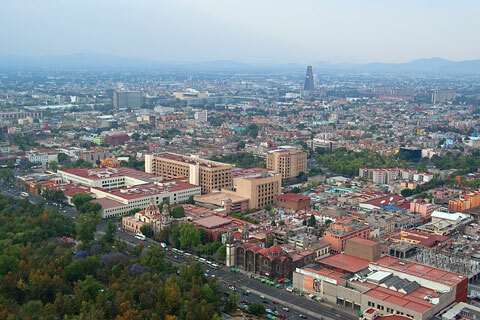 Mexico City is located at about 19.43 degrees North (latitude) and 99.12 degrees West (longitude). Visitors to Mexico City, the largest city on the American continent, must look beyond the traffic, noise, and pollution to find some of Latin America's most heralded baroque churches, colonial palaces, and monasteries. 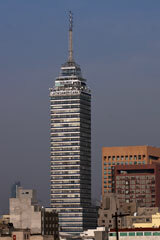 In addition to the older treasures, Mexico City is also home to many modern skyscrapers. Mexico City was first settled by the Aztecs in the 14th century; the Aztecs built a complicated water system, comprising canals, drawbridges, and sluices, that is still in evidence today. Mexico City was the site of significant fighting between the Mexicans, Spaniards, and the United States of America until the late 1800s, when the city began to stabilize and prosper. 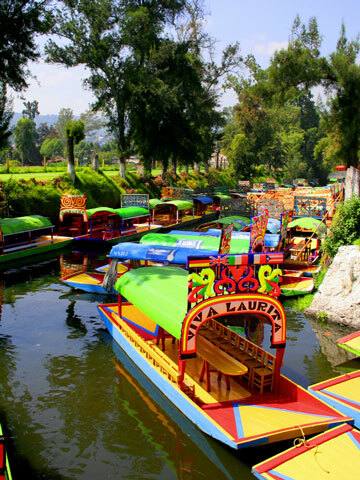 Today, one of the main attractions in Mexico City is Xochimilco, the historic city center. Xochilmilco's architecture indicates what the city may have looked like prior to the Spanish invasion. The magnificent "floating gardens" of Xochimilco are included on the UNESCO World Heritage List. Other attractions include the Aztec Templo Mayor, Government Palace, and the Virgin of Guadalupe Basilica. Ancient walls with mural paintings, which have also been named to UNESCO's World Heritage List, can be found in the Centro Historico of the Old City. More modern mural paintings by other famous artists can be found throughout the city, on walls and staircases and in other random places. 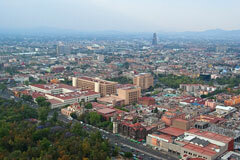 The best restaurants, nightlife, and shopping are located in Xochimilco, as well as in Condesa, Roma, and San Angel. Mexico City is also a shopper's haven. For a flea marketing experience, shoppers flock to Cuidadela, while a more upscale experience can be found at Polanco. The city is home to many fascinating museums, including the National Museum of Anthropology, the Postal Palace Museum, the Franz Mayer Museum, and the Tamayo Contemporary Art Museum. 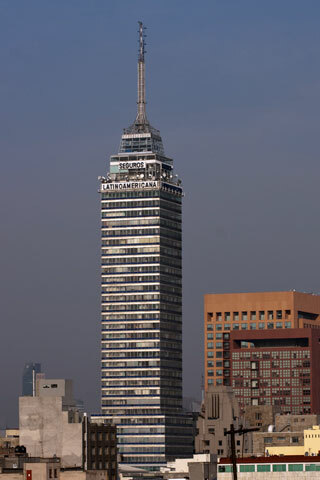 Sweeping views of the city are available from two magnificent perches: the Torre Mayor and the Latinoamericana Tower.